We have been unable to decipher the full game. 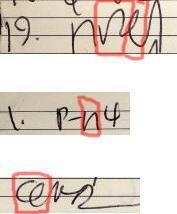 Can any reader work it out? 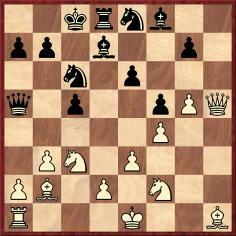 Two attempts to unravel the moves played in the 1992 Fischer v Gligorić training game have been received. 1 e4 e5 2 Nf3 Nc6 3 Bb5 a6 4 Ba4 Nf6 5 O-O Be7 6 Re1 b5 7 Bb3 d6 8 c3 O-O 9 h3 Bb7 10 d4 Re8 11 Ng5 Rf8 12 Nf3 Re8 13 Nbd2 Bf8 14 d5 Nb8 15 Nf1 Nbd7 16 Ng3 g6 17 Be3 Bg7 18 Qd2 Qe7 19 Nh2 Nb6 20 a4 bxa4 21 Bxa4 Nxa4 22 Rxa4 c6 23 c4 cxd5 24 cxd5 Bc8 25 Rea1 Rb8 26 R1a2 h5 27 f3 h4 28 Ne2 Nh5 29 R4a3 f5 30 Ra4 Rf8 31 Bf2 Qf7 32 Nf1 fxe4 33 Rxe4 Nf6 34 Rxh4 Bb7 35 Nc3 Nxd5 36 Nxd5 Bxd5 37 Rxa6 Bf6 38 Rg4 Be6 39 Ra7 Qe8 40 Qh6 Resigns. 1 e4 e5 2 Nf3 Nc6 3 Bb5 a6 4 Ba4 Nf6 5 O-O Be7 6 Re1 b5 7 Bb3 d6 8 c3 O-O 9 h3 Bb7 10 d4 Re8 11 Ng5 Rf8 12 Nf3 Re8 13 Nbd2 Bf8 14 d5 Nb8 15 Nf1 Nbd7 16 Ng3 g6 17 Be3 Bg7 18 Qd2 Qe7 19 Rf1 Nb6 20 a4 bxa4 21 Bxa4 Nxa4 22 Rxa4 c6 23 c4 cxd5 24 cxd5 Bc8 25 Rfa1 Rb8 26 Ne1 h5 27 f3 h4 28 Ne2 Nh5 29 Nd3 f5 30 Nb4 f4 31 Bf2 Qg5 32 Kh2 Ng3 33 Nxa6 Bd7 34 Nxb8 Bxa4 35 Nc3 Rxb8 36 Nxa4 Bf6 37 Nb6 Bd8 38 Nc4 Qe7 39 Qc2 Resigns. 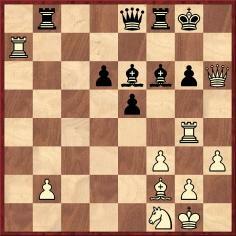 ‘In Mr Winants’ reconstruction there are many moves which, with hindsight, I find more recognizable from the original score-sheet than in my own attempt. For example: 29 NQ3, 31...QN5, 32...NN6, 34 NxR, 35 NB3! (and not 35 Rxa4 Nf1+), and 39 QB2. 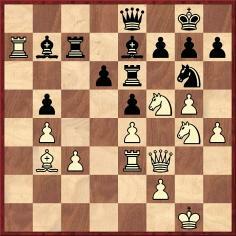 Even the mysterious rook move 19 Rf1 would match the apparent 19 RB1. 19 Rf1 in Bacrot v Postny, French team championship, 2009. 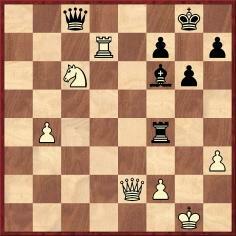 I took 19 Rf1 because it is a common move, but 19 Red1, to stop c7-c6, seems very logical as well and perhaps even more appropriate to the situation. Even 19 Rec1 (to support c3-c4) has its points. I had other doubts later on, but after I reached the position following 34...Bxa4, when 35 Rxa4 is refuted by 35...Nf1+ and 35 Nc6 by 35...Bb5, I thought that this was most probably the correct version. ‘My friendship with Bobby started when he was 15 years old, and I was 35. It lasted about 40 years. During the two decades of his self-isolation I was one of the very few people who were in regular contact with him. In 1992 Bobby arrived in Belgrade, several weeks before the beginning of his second match with Spassky. In advance of the match he asked for my help in delivering to him all games played during the 20 years of his absence from chess. I had a little-known computer, and Bobby was unpleasantly surprised by the enormous increase in the number of games with each opening variation which he had in his repertoire. That is when he began to think of reforming the rules of chess at all costs, removing the very tiring task of preparing openings in advance for each game. He spent a year or two trying to persuade me to write a book about Fischerandom chess. I eventually did so. My book, Shall We Play Fischerandom Chess?, was published in London in 2002, while he was still alive. During Bobby’s stay in my country he asked me to be in his company all the time, and we went to Sveti Stefan together. He had plenty of time at his disposal and since he had not played chess for 20 years he probably felt uncertain about whether he had maintained his previous form. He therefore asked me to do him a favour: to play ten secret training games against him, with his new chess clock (now valid in the whole chess world), which was due to be used in the Spassky match. The games were played in Sveti Stefan, while we were waiting for Spassky’s arrival. Bobby and I had two bungalows close to each other, and he was in the best one, where Sophia Loren had stayed during an earlier visit. As far as I recall, we played our ten games there, one per day. It was agreed that there would be no spectators at all. Bobby did his best, after 20 years away from the board. He made no particular comments about his play but expressed satisfaction with several of the early games. Afterwards he had time to play a few games against Eugene Torre, following his arrival. 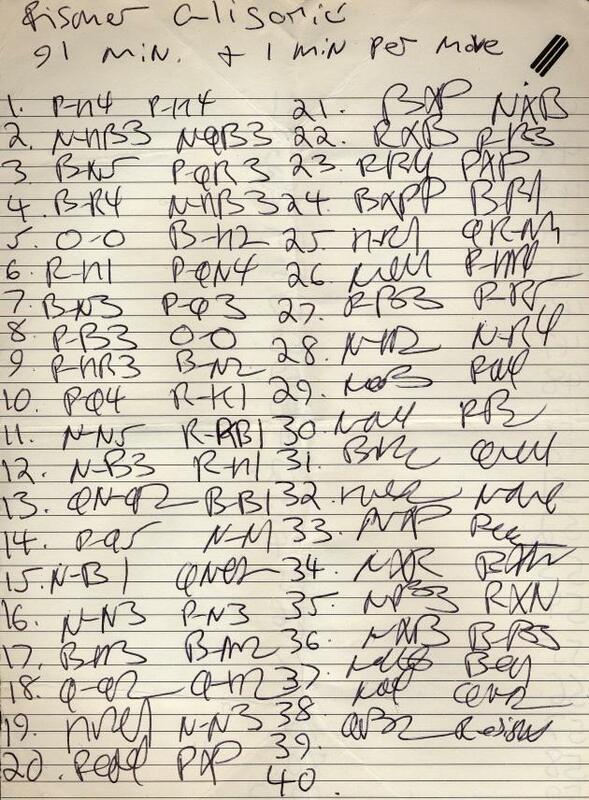 Unfortunately, I cannot be of much help now in deciphering Bobby’s handwriting or in providing other details about the game-scores. At that time my wife was seriously ill (she died in 1994), and I was rather absent-minded about chess matters. 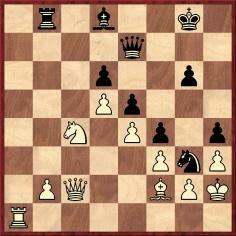 I remember very little about the ten games which Bobby and I played, except that I won as White in the final game. I think that Bobby had at least three wins. If I had kept my easily readable score-sheets, we would have no problems today, but after the match I gave them all to Bobby, without his asking, to show him that the material would never be used for any publicity purposes. When Bobby departed from my country in 1993, moving to Budapest, he asked if he could leave many of his possessions in my house for safekeeping. I do not recall the exact date, but subsequently, before his departure to Tokyo, I hired a driver and a car, filled with Bobby’s belongings for delivery to him, but the Hungarian customs officials would not allow the car to continue its journey to Budapest without Bobby’s personal presence at the frontier. He was too lazy to come, and all the material was returned to me in Belgrade. I still have everything. There are many packages but, in accordance with Bobby’s wishes, I have never looked inside them. 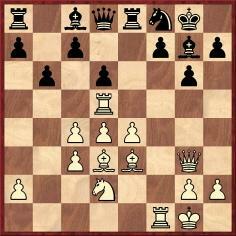 57...e4+ 58 Nxe4 Rxa2 59 Nxc5 Ng4 60 Ne4 Ra3+ 61 Ke2 Nxe3 62 fxe3 Ra1 63 Ra7 Ke6 64 g4 Bb4 65 Rb7 a5 66 Rb5 Be7 67 Ng3 a4 68 Nf5 Bf6 69 Rb6+ Kf7 70 Nh6+ Kg7 71 Nf5+ Kf7 72 Nd6+ Ke7 73 Ne4 Be5 74 Rb5 Bh8 75 Rb7+ Ke6 76 Ra7 Kd5 77 Nd2 Bc3 78 Kd3 Bxd2 79 Kxd2 Ke4 Drawn. The game is given on pages 358-359 of a new compendium of Fischer documentation edited by Mr DeLucia’s daughter, Alessandra: Bobby Fischer Triumph and Despair (Darien, 2014). Further to the publication of Bobby Fischer Triumph and Despair by Alessandra DeLucia (C.N. 8634), all the known training games played by Fischer in 1992 are now in the public domain. David DeLucia (Darien, CT, USA) has sent us his transcriptions of the full set of scores between Fischer and Gligorić (in all, ten games were played), as well as a training game contested by Fischer and Eugenio Torre. The exact order of the games in the Gligorić match is not known. Below we follow the sequence in which they appeared in the two DeLucia books (published in 2009 and 2014). 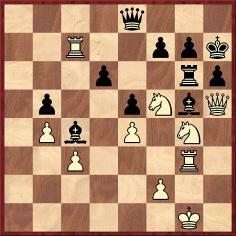 1 d4 Nf6 2 Nf3 g6 3 c4 Bg7 4 Nc3 O-O 5 e4 d6 6 Be2 e5 7 O-O Nc6 8 d5 Ne7 9 Nd2 a5 10 a3 Ne8 11 Rb1 f5 12 b4 Nf6 13 f3 Bh6 14 Nb3 Bxc1 15 Qxc1 axb4 16 axb4 f4 17 c5 g5 18 Nb5 g4 19 cxd6 cxd6 20 Qc7 Qxc7 21 Nxc7 Ra2 22 Nc1 Rc2 23 Nb5 gxf3 24 gxf3 Bh3 25 Rf2 Rfc8 26 Nd3 Ne8 27 Bf1 Bd7 28 Rxc2 Rxc2 29 Rc1 Rc8 30 Rxc8 Nxc8 31 Nxd6 Nexd6 32 Nxe5 Bb5 33 Bxb5 Nxb5 34 Nd3 Nd4 35 Kf2 Nc2 36 e5 Kf7 37 d6 Nxd6 38 exd6 Ke6 Drawn. Source: Bobby Fischer Uncensored, page 181, with a scan of the score-sheet on page 180. 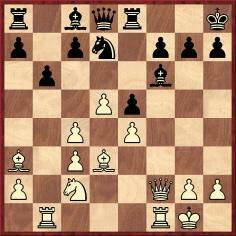 1 d4 Nf6 2 c4 g6 3 Nc3 Bg7 4 e4 d6 5 Nf3 O-O 6 Be2 e5 7 O-O Nc6 8 d5 Ne7 9 Nd2 a5 10 a3 Bd7 11 b3 c5 12 Rb1 b6 13 b4 axb4 14 axb4 Bh6 15 bxc5 bxc5 16 Nb3 Bxc1 17 Qxc1 Nc8 18 Ra1 Rb8 19 Ra3 Rb4 20 Qe3 Nb6 21 Nd2 Ng4 22 Bxg4 Bxg4 23 f4 exf4 24 Qxf4 Rb2 25 Ra7 Bd7 26 Nf3 f6 27 Qxd6 Rxg2+ 28 Kh1 Rc2 29 Nd1 Bh3 30 Qxd8 Rxd8 31 Ne3 Bxf1 32 Nxc2 Nxc4 33 Na3 Nd6 34 e5 Be2 35 Ng1 Bd3 36 Nh3 fxe5 37 Ng5 h6 38 Ne6 Rc8 39 Rg7+ Kh8 40 Rd7 Nf5 [See the note at the end of this game.] 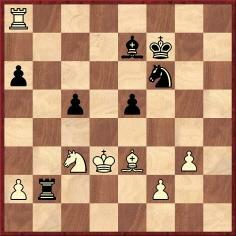 41 d6 c4 42 Nd8 Be4+ 43 Kg1 Bd5 44 White resigns. Source: Bobby Fischer Uncensored, page 181. 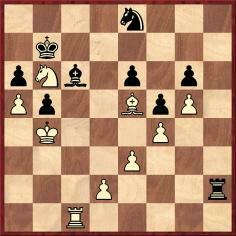 1 d4 Nf6 2 c4 g6 3 Nc3 Bg7 4 e4 d6 5 Nf3 O-O 6 Be2 e5 7 O-O Nc6 8 d5 Ne7 9 Nd2 a5 10 a3 Bd7 11 b3 c5 12 Bb2 Bh6 13 Qc2 b6 14 Nd1 Bxd2 15 Qxd2 Nxe4 16 Qd3 f5 17 f4 exf4 18 Rxf4 Nf6 19 h4 Rf7 20 Nf2 Qf8 21 Nh3 h6 22 Raf1 Re8 23 Bd1 Nc8 24 Qg3 Rg7 25 Qc3 Re5 26 Qc1 Qe7 27 R4f2 Kh7 28 Nf4 Ne4 29 h5 gxh5 30 Rf3 Qg5 31 Qc2 Ne7 32 Bc1 h4 33 Ne6 Qf6 34 Nxg7 Kxg7 35 Bb2 Ng3 36 Qf2 Qg5 37 Re1 Ng6 38 Bc2 f4 39 Bxg6 Kxg6 40 Bc1 Qe7 41 Rxe5 dxe5 42 Qe1 Qg5 43 Kh2 Bg4 44 Bxf4 exf4 45 Qe8+ Kg7 46 d6 Bxf3 47 Qd7+ Kg8 48 Qc8+ Kf7 49 Qd7+ Kg6 50 Qe8+ Kf5 51 gxf3 Nf1+ 52 Kh1 Ng3+ 53 Kh2 Drawn. 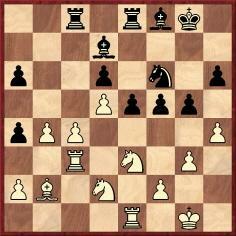 1 e4 e5 2 Nf3 Nc6 3 Bb5 a6 4 Ba4 Nf6 5 O-O Be7 6 Re1 b5 7 Bb3 d6 8 c3 O-O 9 h3 Bb7 10 d4 Re8 11 Ng5 Rf8 12 Nf3 Re8 13 Nbd2 Bf8 14 d5 Nb8 15 Nf1 Nbd7 16 Ng3 h6 17 Nf5 Nc5 18 Bc2 c6 19 b4 Na4 20 Bxa4 bxa4 21 c4 cxd5 22 exd5 Bc8 23 Ne3 Bd7 24 Nd2 Qb6 25 Ba3 Qd4 26 Rc1 Qd3 27 Bb2 Rac8 28 Rc3 Qg6 29 Qc2 Qxc2 30 Nxc2 Nh5 31 h4 f5 32 g3 Nf6 33 Ne3 g5 34 Nxf5 Bxf5 35 Rf3 Nxd5 36 Rxf5 Nxb4 37 hxg5 Nd3 38 Rb1 Rb8 39 Ba3 Rxb1+ 40 Nxb1 hxg5 41 Rxg5+ Kf7 42 Nc3 Be7 43 Rg4 Rc8 44 Kf1 Nc5 45 Ke2 Nd7 46 Kd3 Nf6 47 Rh4 Rg8 48 c5 dxc5 49 Rxa4 Ra8 50 Bc1 Rd8+ 51 Ke2 Rd6 52 Be3 Rc6 53 Kd3 Ke6 54 Rh4 Rb6 55 Rh6 Kf7 56 Rh8 Rb2 57 Ra8 e4+ 58 Nxe4 Rxa2 59 Nxc5 Ng4 60 Ne4 Ra3+ 61 Ke2 Nxe3 62 fxe3 Ra1 63 Ra7 Ke6 64 g4 Bb4 65 Rb7 a5 66 Rb5 Be7 67 Ng3 a4 68 Nf5 Bf6 69 Rb6+ Kf7 70 Nh6+ Kg7 71 Nf5+ Kf7 72 Nd6+ Ke7 73 Ne4 Be5 74 Rb5 Bh8 75 Rb7+ Ke6 76 Ra7 Kd5 77 Nd2 Bc3 78 Kd3 Bxd2 79 Kxd2 Ke4 Drawn. 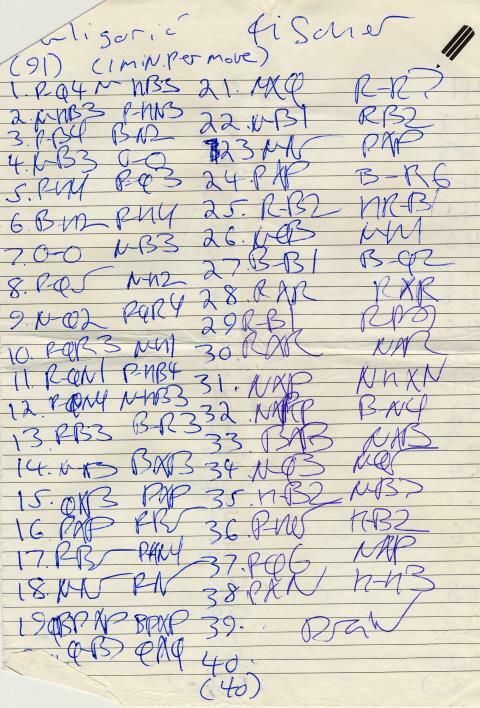 Source: Bobby Fischer Triumph and Despair, pages 358-359, including a scan of the score-sheet. See too C.N. 8634. 46 Qe7 Bxe7 47 Nxe7+ Kg7 48 Nxc8 Rxb4 49 Nd6 Rf4 50 Rc7 g5 51 Rc4 Rf3 52 Kg2 Rd3 53 Rd4 Ra3 54 Nf5+ Kg6 55 Ne3 Ra6 56 Nc4 f6 57 Rd6 Ra7 58 Ne5+ Resigns. 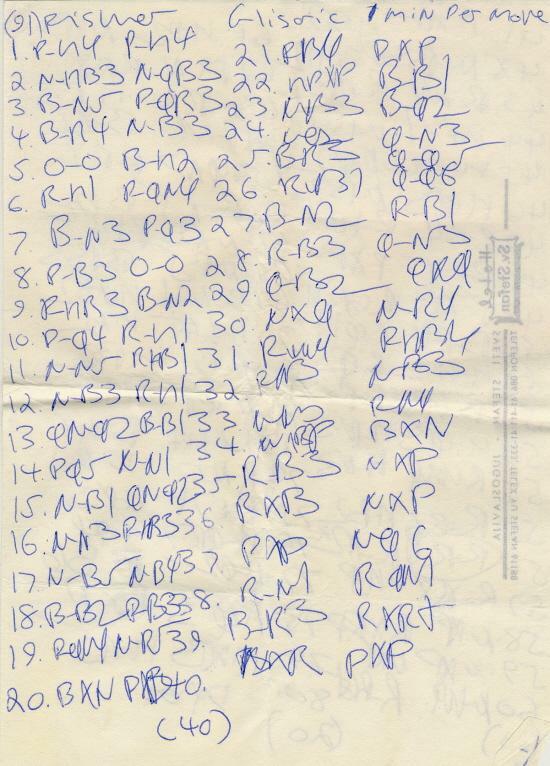 Source: Bobby Fischer Triumph and Despair, pages 360-361, including a scan of the score-sheet. 38 Nc8 Rxd2 39 Ne7 Bd7 40 Nxg6 Ra2 41 Ne7 Ra4+ 42 Kb3 Re4 43 Rd1 Rxe3+ 44 Kb2 Re2+ 45 Kc1 Resigns. Source: Bobby Fischer Triumph and Despair, page 362, including a scan of the score-sheet. 35 Rxg7+ Kxg7 36 Bg5 Qd7 37 Bf6+ Rxf6 38 exf6+ Kg6 39 Qe4+ Kg5 40 Qe5+ Kg6 41 Qe4+ Kg5 42 Qf4+ Kg6 43 Rf3 Resigns. Source: Bobby Fischer Triumph and Despair, page 363, including a scan of the score-sheet. Gligorić informed David DeLucia that this was the last match-game. 19 c5 Nxc5 20 Bxc5 bxc5 21 Bb5 Bd7 22 Qxc5 Be7 23 Qc4 Rb8 24 Bc6 Bxc6 25 Qxc6 Rf8 26 Ne3 Rb6 27 Rxb6 axb6 28 Nf5 Bc5+ 29 Kh1 g6 30 Nh6 Qg5 31 Nxf7+ Kg7 32 Qxc7 Qe7 33 Qxe7 Bxe7 34 g3 Rxf7 35 Kg2 Ba3 36 Rxf7+ Kxf7 37 Kf3 Ke7 38 h4 h5 39 g4 Kd6 40 gxh5 gxh5 41 Ke2 Kc5 42 Kd3 b5 43 White resigns. Source: Bobby Fischer Triumph and Despair, page 364, including a scan of the score-sheet. 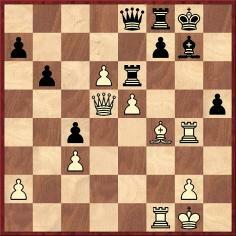 39...Qa8 40 Nge3 Qxe4 41 Nxc4 Qxf5 42 Ne3 Qe6 43 Qf3 Bf4 44 Rxg6 Qxg6+ 45 Qg4 Qb1+ 46 Nf1 Resigns. Source: Bobby Fischer Triumph and Despair, page 365, including a scan of the score-sheet. C.N. 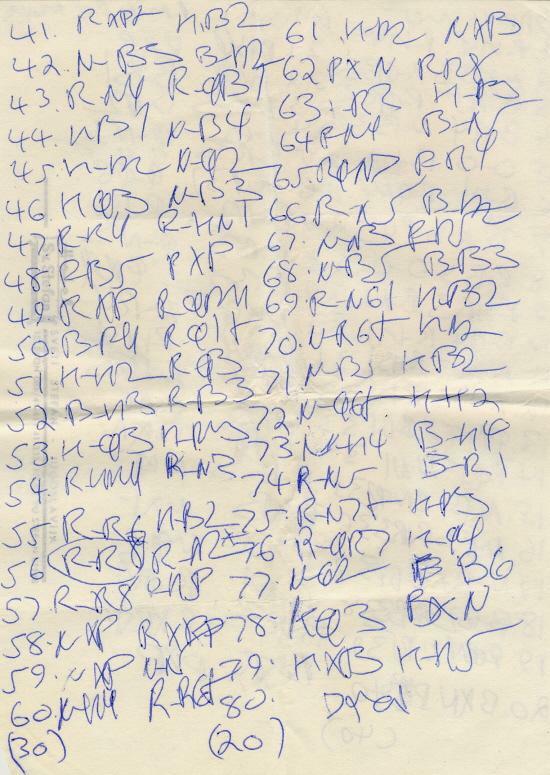 8638 also gave, courtesy of David DeLucia, the score of a training game between Eugenio Torre and Bobby Fischer. Latest update: 21 April 2014.